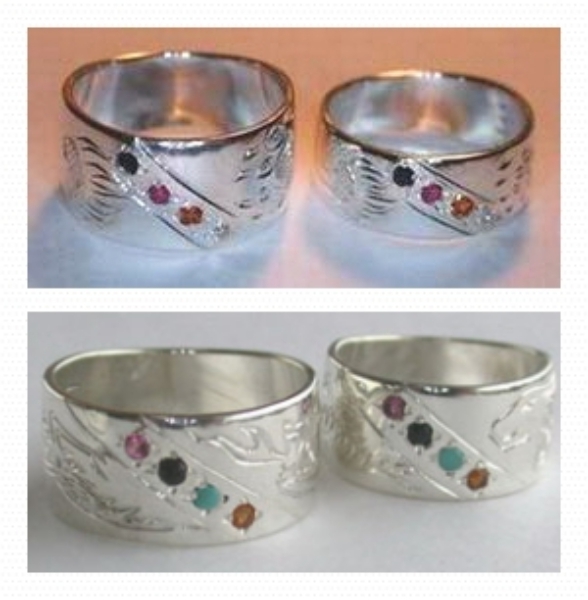 Channel Medicine Wheel Rings . 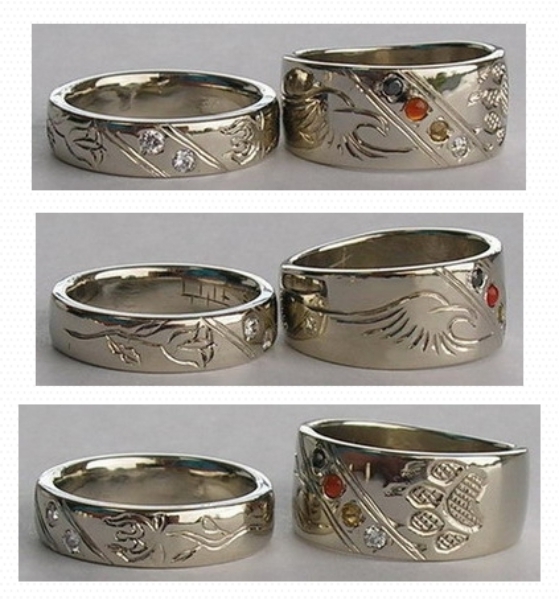 They represent the Spiritual, social, mental and physical quadrants They contain various stones such as. Mammoth tusk, onyx, coral and jasper to represent north, east, south and west , black, white, red and yellow. 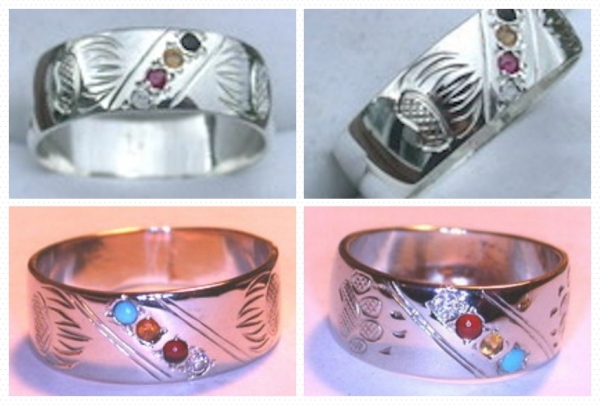 As you may see, the channel contains the 4 stones representing the 4 quadrants for the wheel. The larger the stones the greater the angle that is needed for placement, ( or the smaller the stones the less angle needed ) and so the width of the band is determined by the gem size. 1.5mm to 2mm fits well. The term “Medicine Wheel” is not a native term. Initially it was used in the late 1800’s and early 1900 by Americans of European descent in reference to the Bighorn Medicine Wheel located near Sheridan, Wyoming. Later, research on the Plains identified other features characterized by a variety of stone circles and spoke configurations. Because of general similarities to the Bighorn Wheel, the term “Medicine Wheel” was extended to describe them as well. The quadrants represent the 4 corners, the 4 attributes and 4 houses of the Medicine Wheel. Spiritual, social, mental and physical quadrants contain chip inlay of various stones. Mammoth tusk, onyx, coral and jasper are appliquéd in north, east, south and west , black, white, red and yellow. They colors and animals associated with the 4 corners may change from tribe to tribe, beliefs or possible life achievements depending on the Tribe.